You've probably already seen this dish on my FB posts many times. 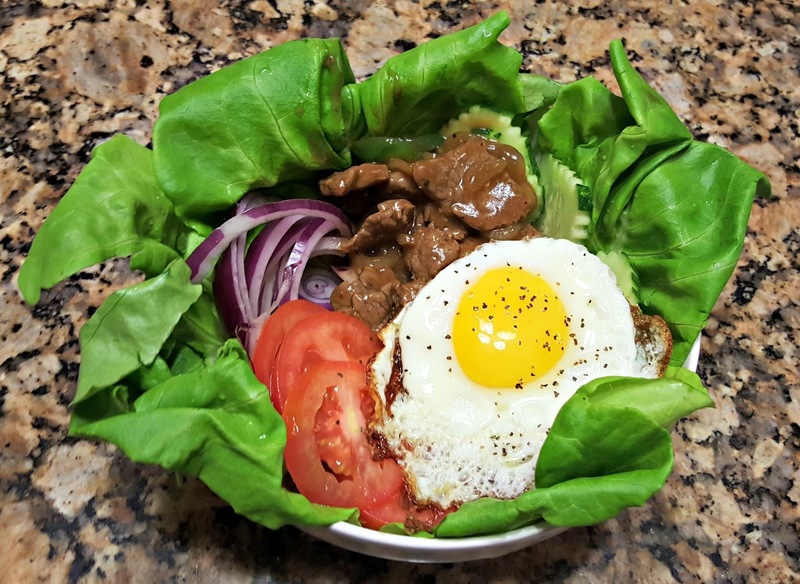 This is a different take on the popular Cambodian beef dish. Typically. the beef loc lac is served as an entree, accompanied with white jasmine rice. Seeing that the blog theme is "salad", we'll skip the rice and make this dish a meal of its own. The girls and I wanted to pamper ourselves during the weekend trip to Scottsdale. Sure we wanted to indulge but we also didn't want to pay premium prices either. Since we went during off season, we lucked out and found some incredible spa deals through Travelzoo and Groupon. 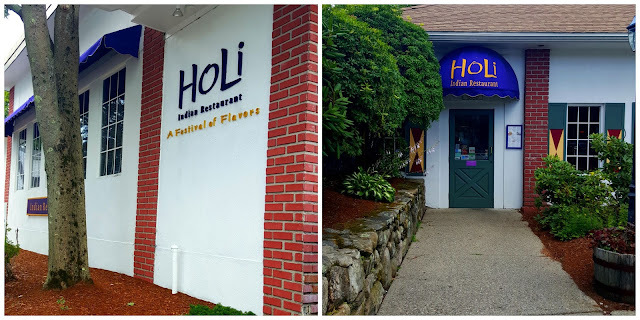 HOLI: A Festival of Flavors! This new Indian restaurant just recently opened its doors a few months back in March. The Mo actually told me about this place after driving past it on his daily commute. The restaurant is located on North Road in Bedford, next door to the Bedford Farms ice cream shop. The exterior of the restaurant is bright and colorful, not to be missed. 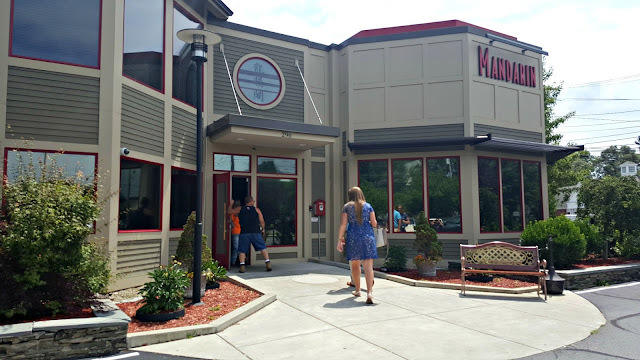 No one could decide where to go for lunch so my coworkers and I drove 12 minutes down 95 and headed towards Mandarin Reading for their daily lunch buffet. Usually parking is tough in the crowded parking lot but we scored a prime spot by the entrance a little past noon. 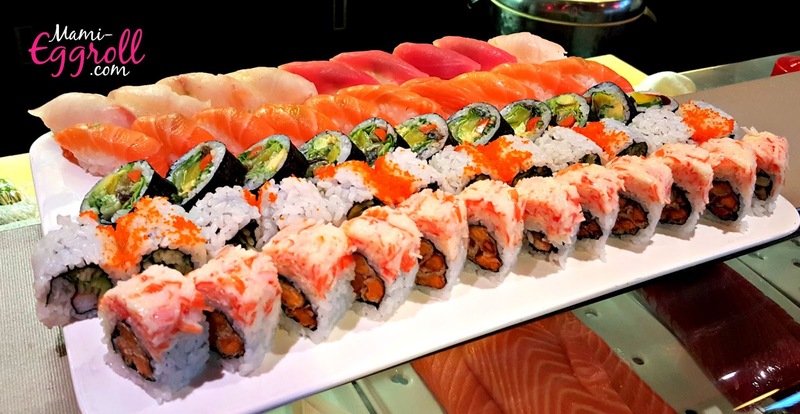 Originally, some of us were going to order sushi a la carte but once we saw the sushi chef prepare the sushi platter, it was a done deal to go with the buffet option for $12.50 per person. This is almost similar to the Tuna Fish salad but is ore appealing to those who don't eat fish or those who want to skip a few steps preparing the actually mixture. Willow Tree deli salads are on sale this week at Market Basket for $4.99 ($2.00 off regular price). The premade salad comes in 3 different flavors; Premium White Meat Chicken, Buffalo Chicken and a new Cranberry Walnut blend. It's all the rave! 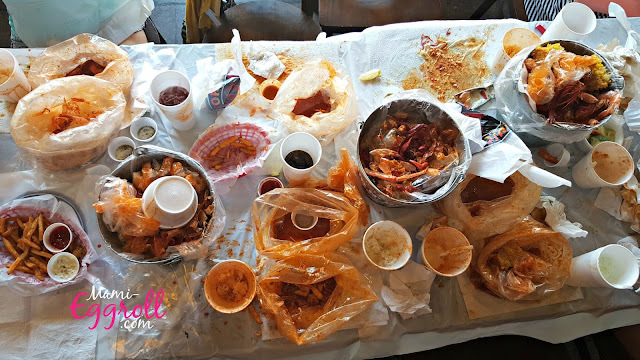 Every time a friend visits Vegas, DC, or Florida, my FB feed blows up with pics of my friends wearing silly bibs with buckets of crustacean shell in the foreground. I've never been and I was totally stoked to hear that there was a franchise location within 20 minutes of our resort in Arizona. Yay, I can finally try and blog about this place! 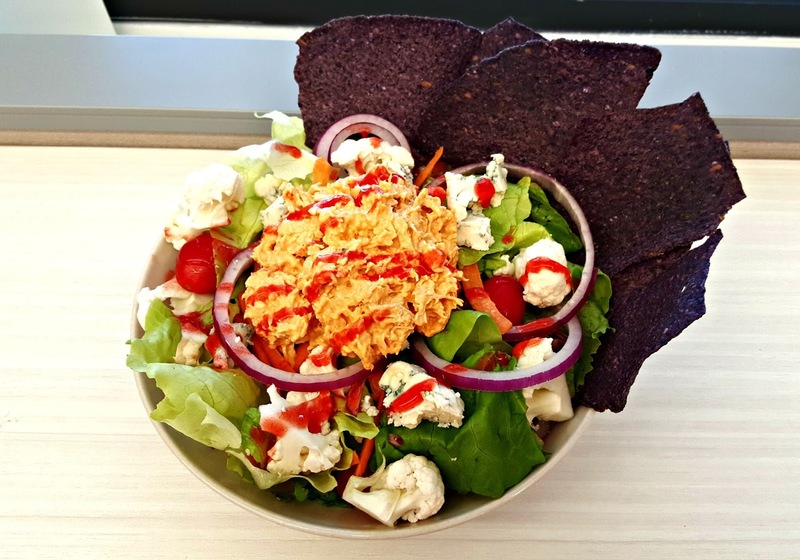 I'll skip the nutrition facts and Myfitnesspal calorie count for this salad as well. It can be as light as you want or as calorie laden as you want, I prefer the latter. If it's on sale, I typically buy the prepackaged salad blends. This week, it was only $1.25 at Shaw's for a 9 oz bag of Fresh Express "Premium Romaine" Blend. For my tuna salad, I like to add sliced bell peppers, sugar snap peas, black olives and pepperoncinis for some added flavor and texture for the base of the salad. For the tuna salad itself, I use a large 6.4 oz bag of tuna. I prefer the bag over can because its easier to open and clean up. I add a squirt of yellow mustard, teaspoon of dijon mustard, 4 tablespoons of mayonnaise (yikes!) some equal (artificial sweeter), 1 teaspoon of relish, diced celery (if I happen to have some stalks sitting in the fridge, a dash of salt and ground black pepper) Mix it up and fridge it. This will last for 2-3 salads. 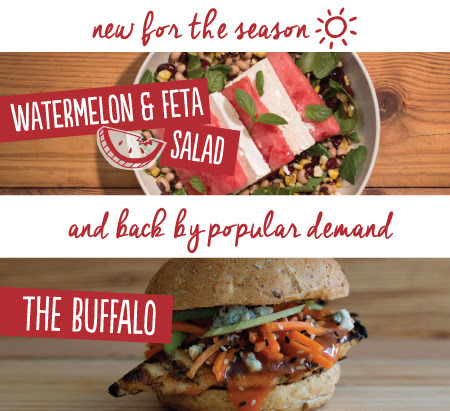 b.good enticed me with their promotion email, order one of their "summertime specials" and get a free blueberry smoothie added to your account for free. I was sold at free! 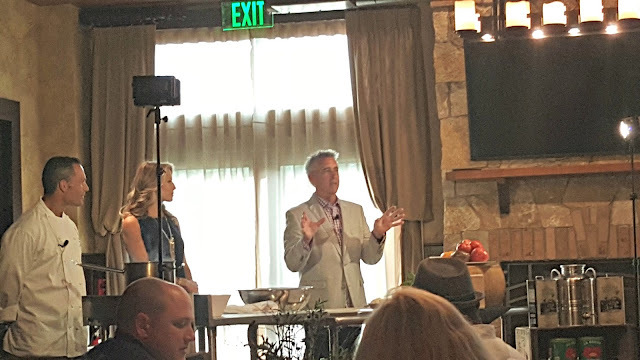 My friend Jill and I attended a special event a couple weeks back, "A Tuscan Summer Night with Billy & Jenny" at Tuscan Kitchen in Burlington. Tickets were $125.00 each and included a cocktail hour, a live cooking demonstration by the chef Joe Faro himself, a multi course dinner with wine pairing and a favor bag filled with goodies. The beautiful evening started with amazing pineapple mojitos and sangria on the side patio. There were a tasting of the "Artisan Cured Meats and Specialty Cheese" on display and a couple of passed hor d'oeuvres that included beef crostini and colossal bacon wrapped scallop. I never knew this cozy Indian restaurant existed. 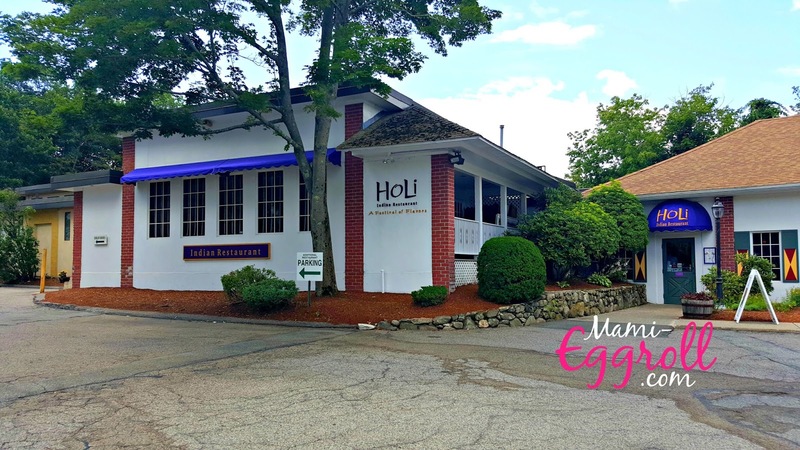 $ 8.95 lunch buffet in WOBURN! 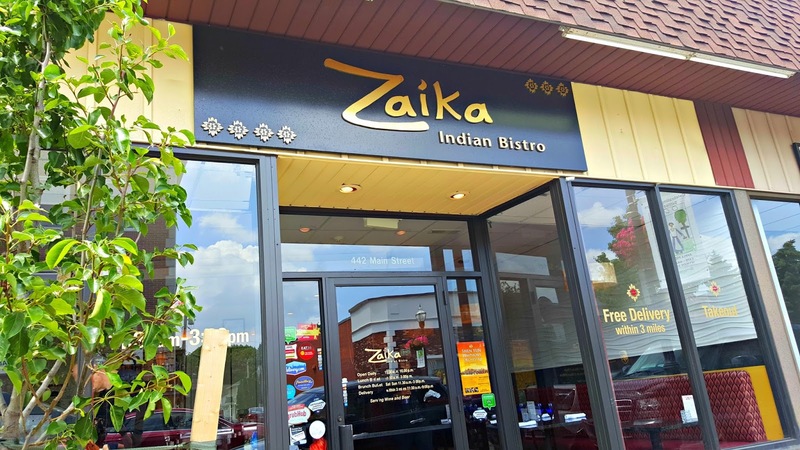 Zaika Indian Bistro is situated on the busy Main street in Woburn Center. Parking is a bit tricky in downtown but if you're lucky you can get street parking or walk a couple blocks and park in the city's lot by the bowling alley. The Mo and I were grateful to be invited to Martha's Vineyard by the Ventura Family for a fun filled patriotic beach getaway. 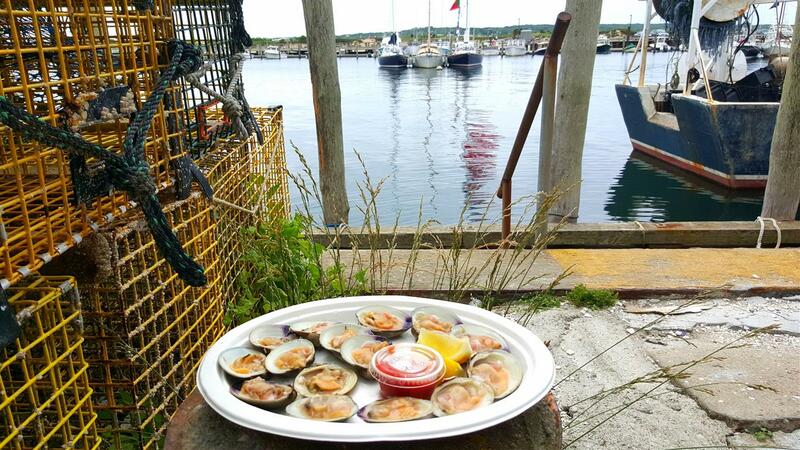 We ate, we drank, we read, we beached.. did I already mention, we ATE?